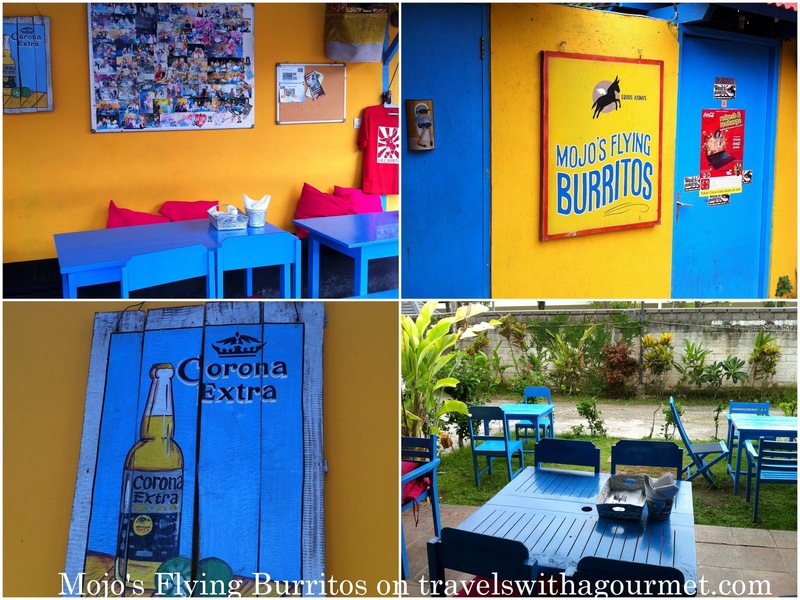 A few months back, we went to pick up our 10-year old from a sleepover in Seminyak and met up with him at Mojo’s Flying Burritos. It’s down an alley off Petitenget and is really just an open-air shack at the side of the road. You can’t miss it with it’s brightly painted walls and colorful chairs and tables. Menu is simple: burritos of course then tacos (both on soft flour or crispy corn tortillas), quesadillas and enchiladas. We’ve been back a few times since and haven’t been disappointed. We always enjoy the freshly-made guacamole or salsa with warm corn tortillas and their carne asada tacos which come with rice and a side of black beans. *Open daily from 9:00a.m. to 11:00 p.m.
It’s really a “hole-in-the-wall” place but the carne asada tacos are surprisingly good. OMG! 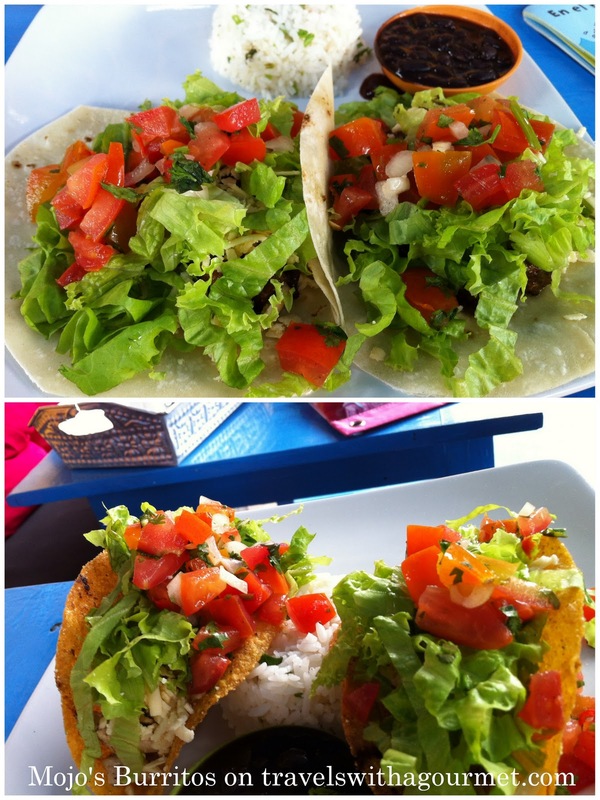 It’s seems that great Mexican is so elusive for us in Indonesia. If we ever go back to Bali I’m definitely going to try it out!!! Everything looks so YUM!